Female pilots are uncommon among airlines but black female professional pilots are even rarer. Even in the US, which is ahead of most nations in the diversity of its pilot population, has fewer than 150 black female pilots holding airline transport pilot, commercial, military or certified flight instructor licenses. So Captain Tara Wright is a rarity, and she sees part of her role is to educate people, often when they ask to have a photo taken with her. “I call it a selfie a day and educating one person about how flying airplanes is something anybody can do if they have access to the right education and skill-building opportunities,” said Wright. 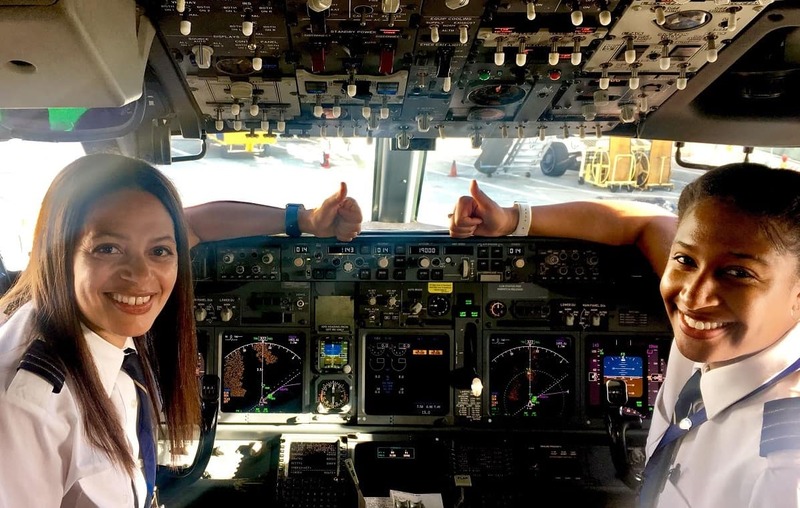 She flies for Alaska Airlines pilot and graduated from Embry-Riddle Aeronautical University in 1993 with a degree in Aeronautical Science. Wright has reached a number of firsts in the field. She said she was the first African-American female pilot to become a captain at Alaska Airlines in April 2017 and the seventh African-American female captain for a major commercial airline in the U.S.
She also made history on Mother’s Day in May while flying an Alaska Airlines Boeing 737-800 jet from San Francisco to Portland, Oregon. Capt. Wright along with First Officer Mallory Cave were the first African-American female pilots to crew an Alaska Airlines jet together. ”You’re sharing a pretty interesting piece of Alaska Airlines history this morning. You will be piloted by two African-American female pilots for the first time in Alaska Airlines history,” she told passengers on the intercom. An Alaska Airlines spokeswoman said the Airline is committed to attracting, retaining and advancing a diverse employee population. Embry-Riddle Aeronautical University is a US institution but it also has site in Berlin, Germany which any European resident is eligible to attend. A Bachelor of Science in Aeronautics degree includes either an ATPL or MPL course, with the flight training taken with Lufthansa’s European Flight Academy.